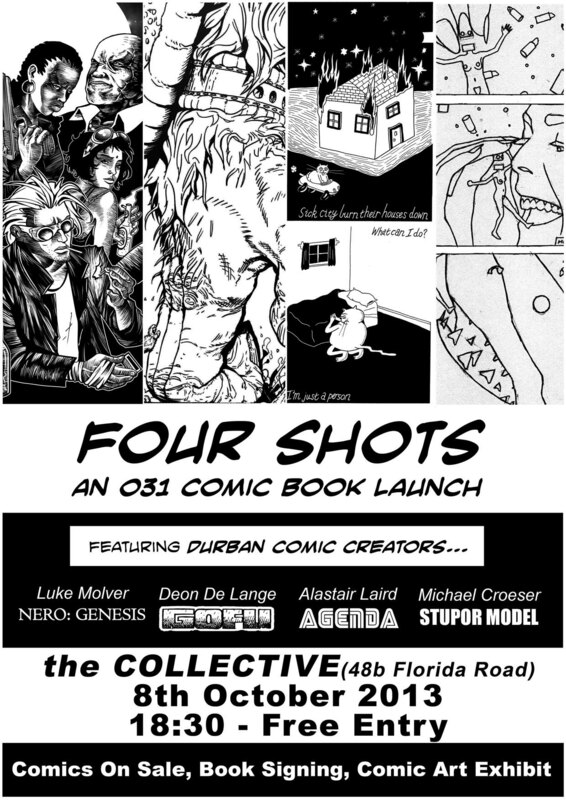 ‘Four Shots’ is a one-night-only exhibition of the work of Luke Molver, Deon De Lange, Alastair Laird and Michael Croeser, who will each be launching their own self-published comic books at the event.After successfully plying their illustrated wares at the recent Open Book Fair in Cape Town, these four graphic storytellers felt an exhibition of comic book art was something their hometown of Durban needed to be exposed to. 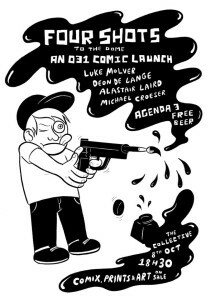 Comic books and art will be on sale at the event, and the artists will be on hand for autographs, questions, lapdances and, heaven forbid… possible job opportunities. The event is free, with a cash bar available. 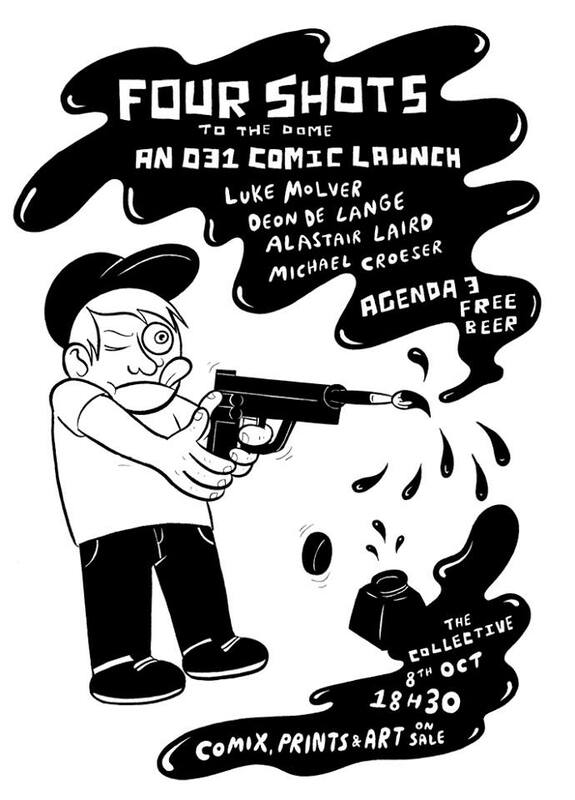 So pull in, Durban, and get some comic book culture in your craniums. This may sound crazy but,I’m 16 and I want to publish a comic by grade 12 is that possible if it is ,can you give me tips on how to achieve that.